Personal Referrals (Word of Mouth Advertising) over the years have been a major component in the success of Blue Ribbon Auto Service, a premier car & truck repair facility in Waldorf, MD. Steve and the guys were very professional and honest with my Ford Expedition. I was referred by wife who had work performed on her 2005 Ford Expedition. If you are looking for great work, customer service and professionalism. I would like to thank you and your team for their dedication, and friendly service! You guys are truly one of the best service professionals in the area and I plan on using you for any future services with my 2006 Volkswagon Jetta. I will also recommend you to all my friends! 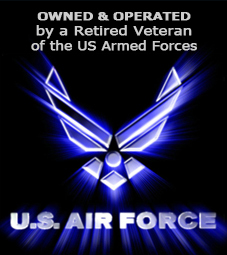 Airman First Class David J.
I have been a customer since 2003 or so and I have never trusted any of my vehicles to anyone else! Blue Ribbon knows me and my vehicles. they know my budget and there are never any unexpected costs. I can always rest assured that my car will get the best service possible. They keep me in the loop and explain exactly what my repair needs are and what must be done to keep my cars running in optimum condition. I love these guys! Very pleasant to deal with. GREAT SERVICE at a reasonable price. Very honest and trustworthy! I will never have my vehicles serviced anywhere else as long as Blue Ribbon is around. Top notch auto mechanics and a Top notch business, thank you so much!! I feel so relieved to have found a business that I feel I can trust to repair my vehicles and not take advantage of myself and my daughter. I also appreciate the phone calls after each service to make sure we were satisfied. I have been taking my vehicles to Blue Ribbon since it has been open. Blue Ribbon has always performed quality and just as important HONEST service to my vehicles. I would not think about having my vehicles serviced elsewhere. I have since referred many of my friends to Blue Ribbon. I have been with Blue Ribbon for a few years now and I put my trust in you all. I always get an honest answer and my car is always ready when you all said it would be. I live in Clinton, Maryland. I would rather take that ride to Waldorf, Maryland to get my car fix by a crew who I know that I can trust and respect. All my immediate family and friends go to Blue Ribbon, they have been fantastic for us over many years. You can honestly trust their word on what is wrong, what needs to be repaired and when the repairs should be made. I've had work done by them ranging from basic safety checks, extensive engine repair and recently a transmission installation. Blue Ribbon is a rare breed and I'll continue to go to them for all my automotive needs. The Waldorf mechanic you have been looking for is right here. Great customer service and the prices are right.